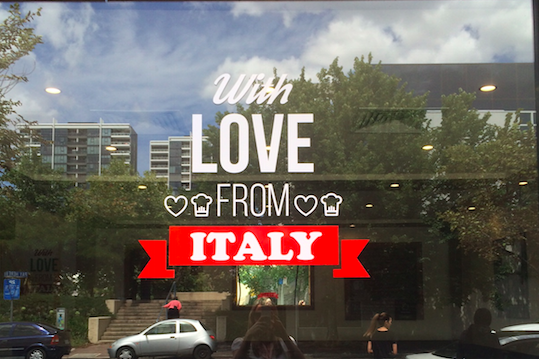 When Zeffirelli’s on Belconnen’s Chandler Street closed down last year, Alan Myburgh (who also owns Nutmeg Catering) opened Italian restaurant L’Artista in its place. Like Zeffirelli’s, L’Artista specialises in reasonably priced homemade pizza, pasta, seafood and meat dishes, though I’d say L’Artista targets a slightly more upmarket clientele than Zeffirelli’s did. At any rate, it’s Italian food, and when you’re in the mood for a carb-dense, satisfying lunch, as I was last week, only Italian will do. 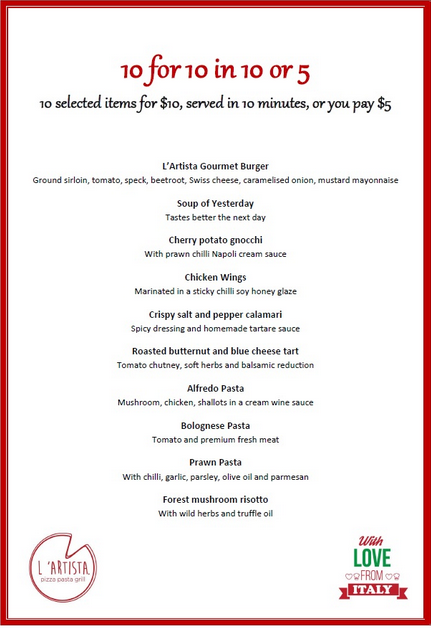 My partner and I both work in Bruce, so we met for lunch to check out L’Artista’s new specials menu. In a bid to attract busy office workers who would otherwise grab lunch at the food court across the road in Belconnen Mall, L’Artista now offers ten lunch items for $10 each. If your meal takes longer than ten minutes to arrive, you only pay $5, so it has the potential to be a very cheap eat indeed. It was my first visit to L’Artista, which has large indoor and outdoor dining areas, an open kitchen and a bar. We arrived for an early lunch and there weren’t many other diners in the restaurant, though numbers did pick up during our visit. It’s the sort of restaurant that seems to do quite well from group bookings and work lunches, as most patrons were in groups of five or more. Owner Alan explained that while staffing issues affected the business in its early days, he is confident that Canberrans are now experiencing L’Artista at its best. The regular lunch menu included burgers (between $17 and $19 each, served with fries), five spiced roasted pork ($20), pappardelle duck ragu ($14) and chicken saltimbocca ($19). The specials menu, on the other hand, offered a few traditional Italian options including bolognese pasta, vegetarian gnocchi and risotto. I settled on the chicken wings in sticky chilli soy honey glaze, and my partner ordered the similarly non-Italian L’Artista gourmet burger with ground sirloin, tomato, speck (!! ), Swiss cheese, caramelised onion and mustard mayonnaise. The waiter took our order and returned with a kitchen timer set to go off in ten minutes. Eight-and-a-half minutes later, our food arrived. The servings, particularly for a $10 lunch special, were enormous. There were five meaty chicken wings on my plate, and a monster burger and chips on my partner’s plate. I looked around the restaurant to see if our serves were larger than those of other patrons, and it turned out that no, L’Artista is just really big on portion sizes. 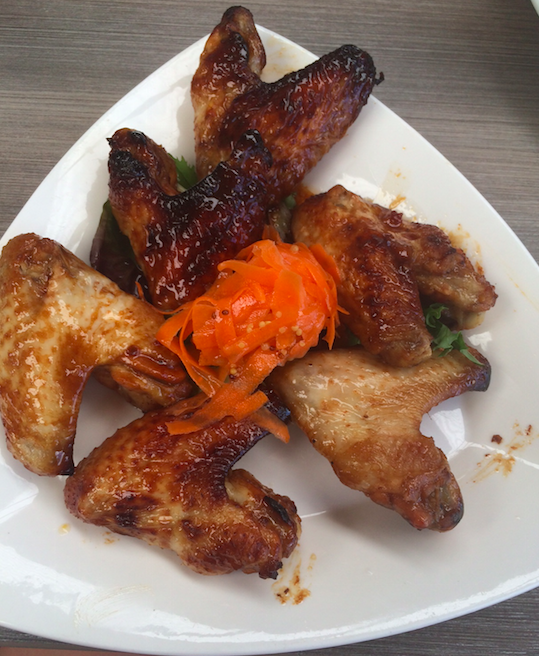 The chicken wings were sticky, juicy and deliciously messy. Don’t wear white if you order them, because you will get sauce everywhere even if your table manners are excellent. 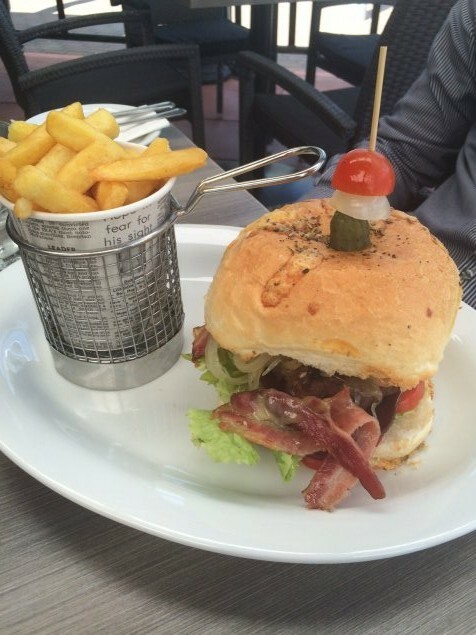 My partner rated the burger highly too – particularly for the price. He wasn’t expecting chips with his order, so it was a pleasant surprise when they came out. By the time we were finished, we were pleasantly stuffed, and barely out of pocket. At $10 a serve, the quality, portion sizes and dining atmosphere are better than any food court I’ve tried recently. I’ll be back. I love the 10 for 10 in 10 idea. I haven’t been to L’Artista but if the chips in the photo taste half as good as they look in the picture, it will be worth the trip to Belconnen to find out.